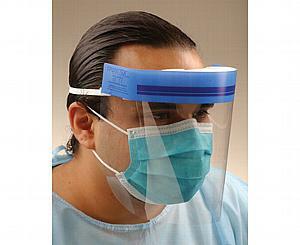 Full length face shield provides increased level of protection. Featuring a 1" vented foam headband for increased airflow and comfort. Anti-fog treated on inside and outside of shield to eliminate fogging. Headband is ultrasonically welded to the shield for added safety. Provides added protection for the face and face mask from direct spatter and airborne particles.